The Shard, also referred to as the Shard of Glass, Shard London Bridge and formerly London Bridge Tower, is a 95-storey skyscraper in Southwark, London, that forms part of the London Bridge Quarter development. 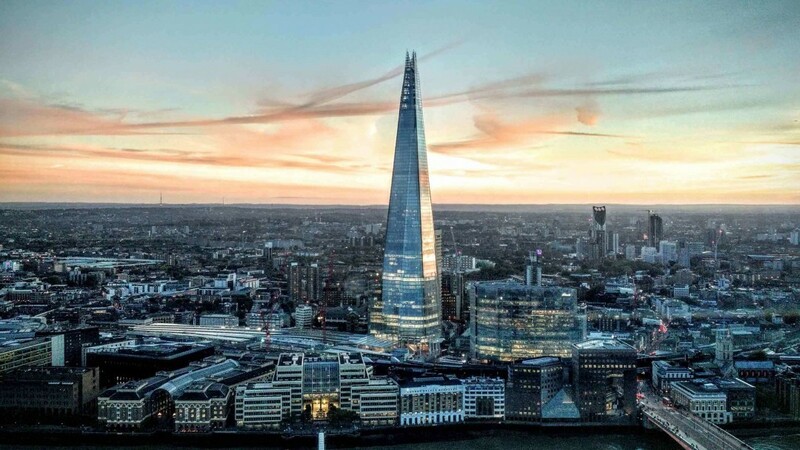 Standing 309.7 metres (1,016 ft) high, the Shard is the tallest building in the United Kingdom, the fourth-tallest building in Europe and the 111th-tallest building in the world. It is also the second-tallest free-standing structure in the United Kingdom, after the concrete tower at the Emley Moor transmitting station. The Shard’s construction began in March 2009; it was topped out on 30 March 2012 and inaugurated on 6 July 2012. Practical completion was achieved in November 2012. The tower’s privately operated observation deck, The View from The Shard, was opened to the public on 1 February 2013. The glass-clad pyramidal tower has 72 habitable floors, with a viewing gallery and open-air observation deck on the 72nd floor, at a height of 244.3 metres (802 ft). It was designed by the Italian architect Renzo Piano and replaced Southwark Towers, a 24-storey office block built on the site in 1975. The Shard was developed by Sellar Property Group on behalf of LBQ Ltd and is jointly owned by Sellar Property and the State of Qatar.